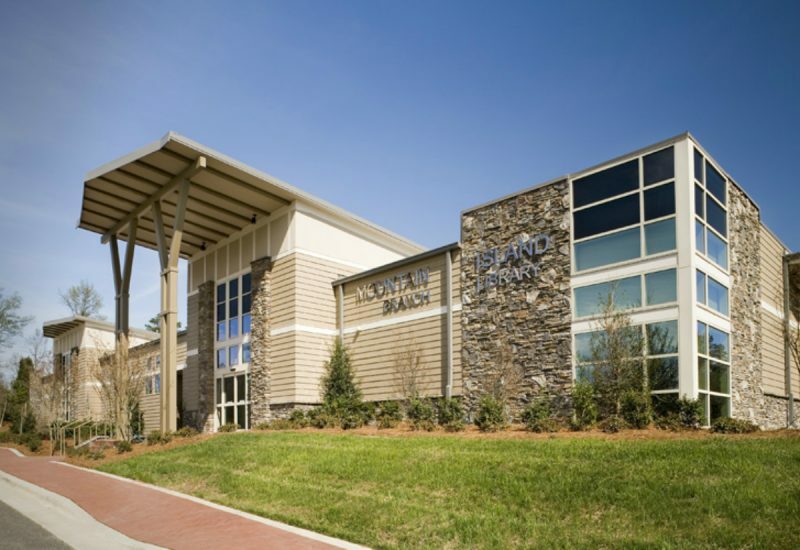 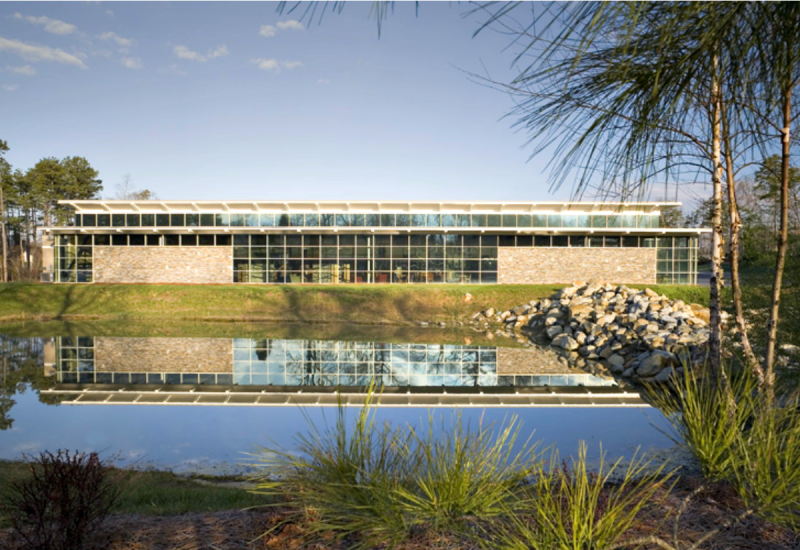 Design for the Mountain Island Library reflects the community’s ties to the Catawba River and the strong sense of environmental stewardship that characterizes this growing sector of Mecklenburg County. 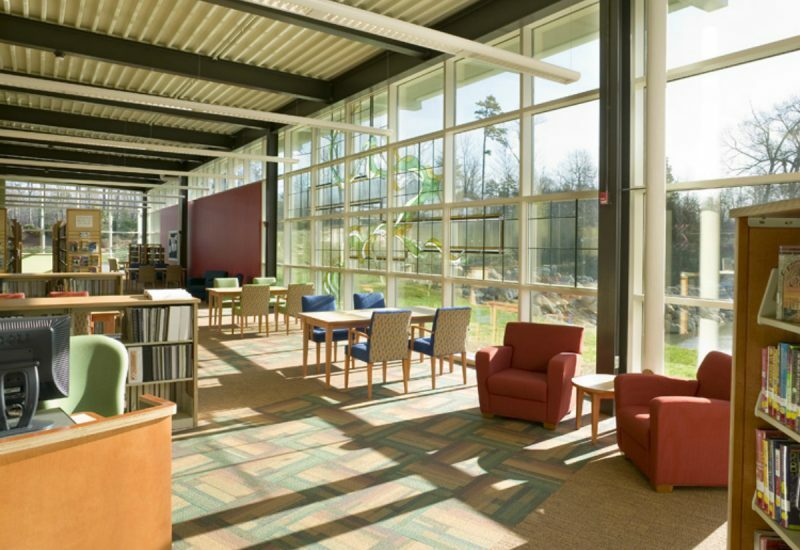 The 16,000-sf library features an open floor plan, allowing easy flow between collections while providing clear sight lines for staff. 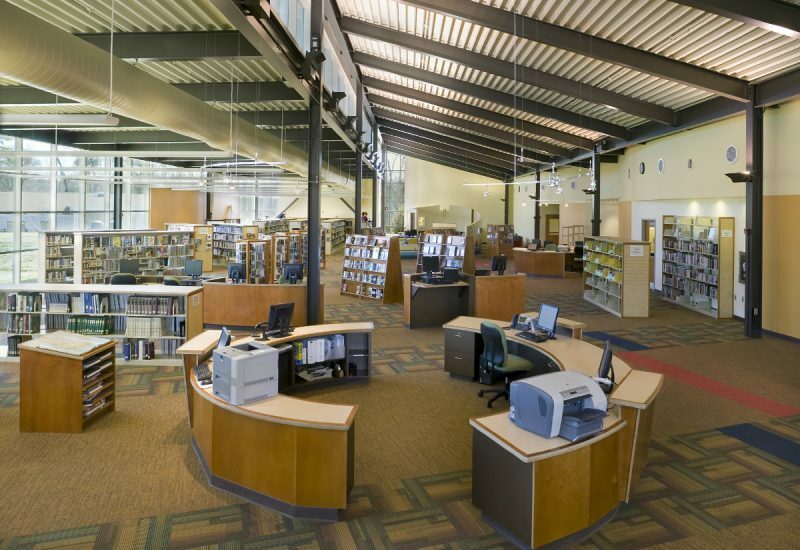 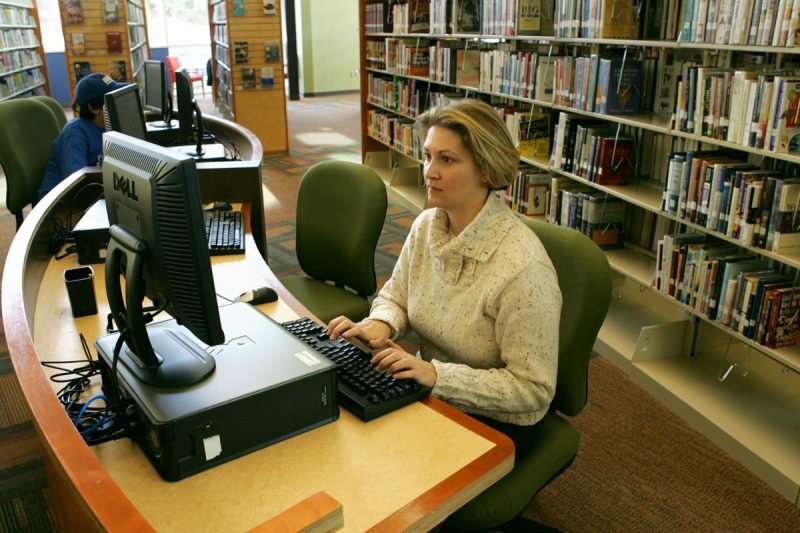 In addition to a broad range of print and digital media, the library offers computer work stations, and a large multi-purpose room for community gatherings and special events. 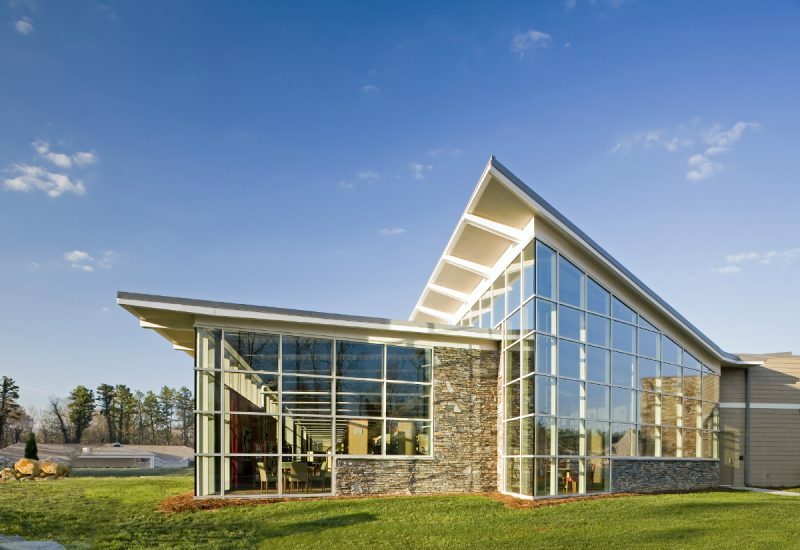 A sweeping expanse of glass on the Library’s southern face forms a strong connection to the outdoors and allows for abundant natural light, a concept reinforced by the clerestory window spanning the length of the library. 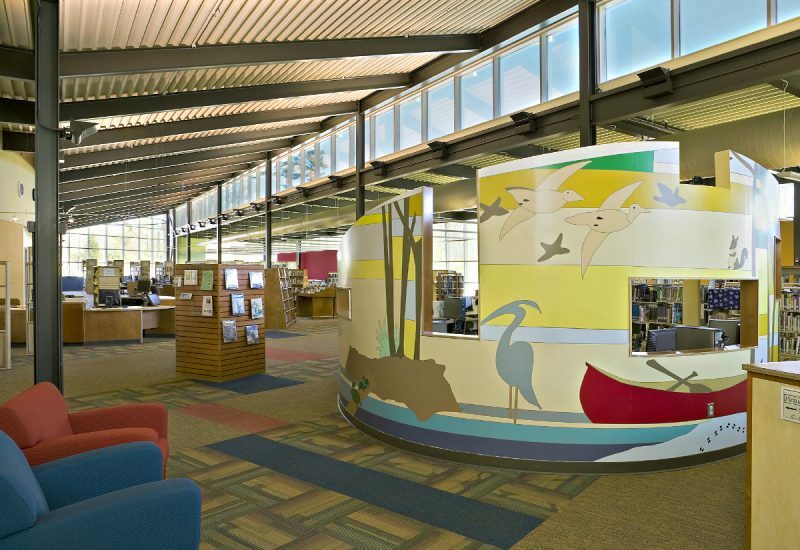 A curving half-wall in the Children’s Area features a colorful mural depicting native plants and animals. 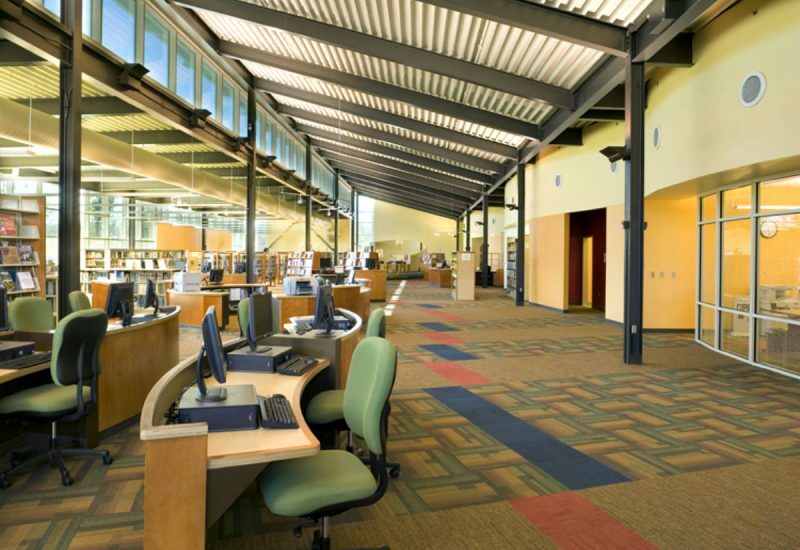 Material selection throughout is resilient, durable and environmentally friendly, including linoleum desktops and children’s seating that employs recycled seatbelt webbing.